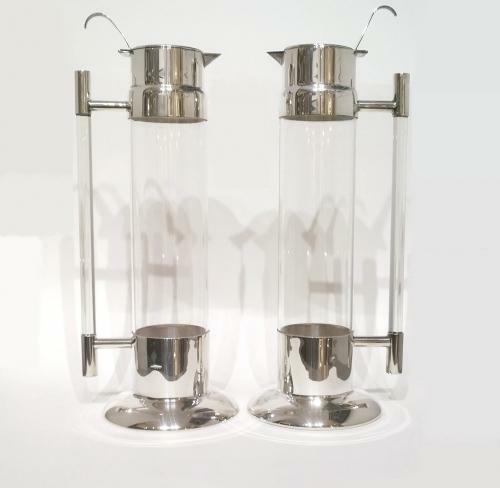 A pair of stylish silver mounted claret jugs with glass mounted handles. London hallmarks 1981. Maker C & B.